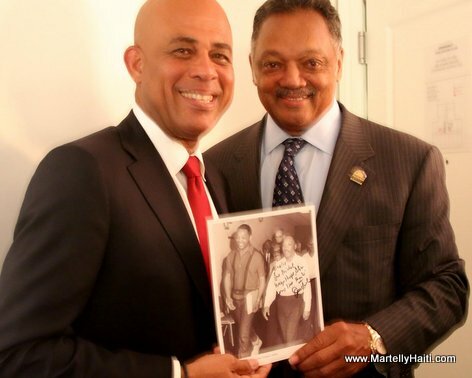 Look at this photo... Haiti President Michel Martelly and Rev. Jesse Jackson in New York... The two met during Martelly's trip to the 69th General Assembly of the United Nations..